Even after an aircraft arrives at the airport, many details remain to be addressed. 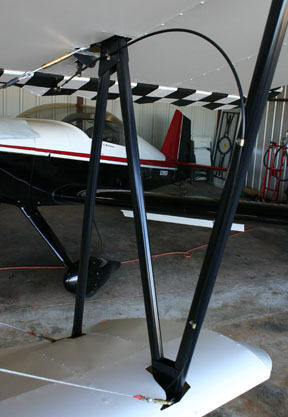 This is the pitot-static mast mounted to the bottom wing. The base was painted to prevent interfering with the shape of the cross. 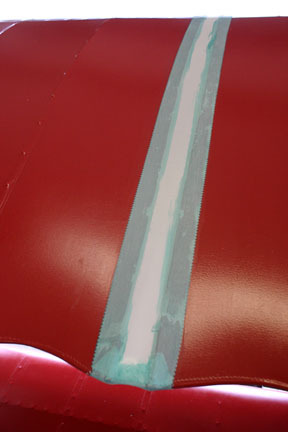 The pitot-static lines (ice maker tubing from the aviation department of Lowes) run through a PVC conduit in the wing to the wing root then into the cockpit. 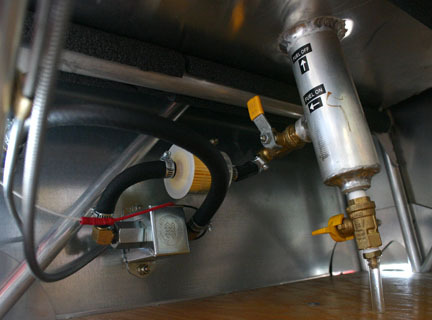 The tubing is connected to the airspeed indicator with 1/8" NPT quick-connect ice-maker fittings. 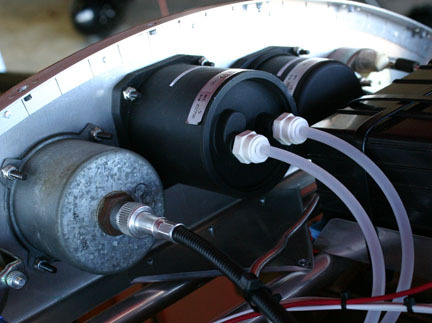 A Facet electric fuel pump assures adequate fuel flow even with low fuel level in the tank. Space is tight so the lines had to be arranged so a filter can be inserted into the line going to the pump. 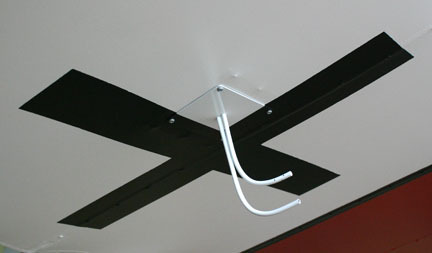 The aileron control push-pull cables are attached to the N-struts with small aluminum clamps. 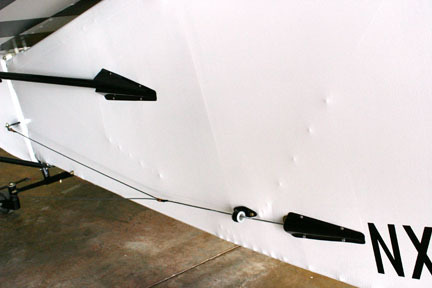 They transit through the wing panels via PVC pipe counduits. Drain holes to allow release of condensation in the wings and tail surfaces were melted into the fabric with a soldering iron. 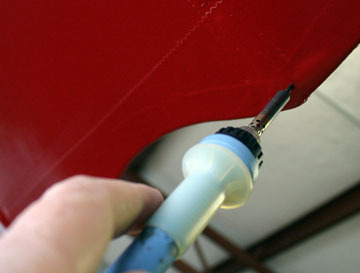 The hot iron seals the edge of the hole to prevent fabric raveling. 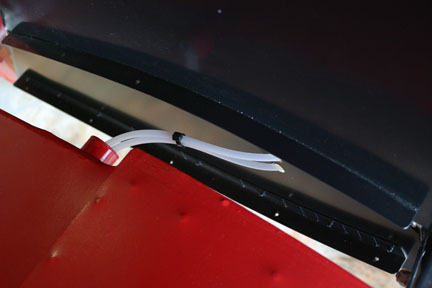 The lower wing root fairings that were fabricated earlier were installed with #8 sheet metal screws. 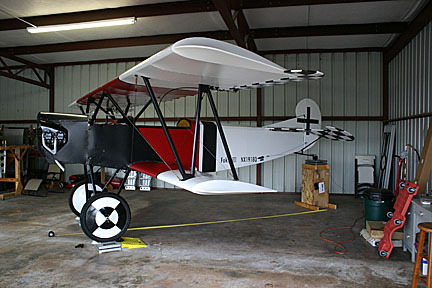 The upper wing fairings for covering the gaps between the center section and outer panels were fabricated with roof flashing while the plane was still in the shop. I wasn't happy with the fairings because it was nearly impossible to get the very thin material to fit tightly. I ditched the fairings and glued 4" trim tape over the gaps. When shrunk and painted the gaps will nearly disappear. I don't intend to disassemble the plane for transport so the lack of removable fairings isn't a problem. There is nothing in the gaps that needs inspection. Ekobond fabric glue sticks aggressively to the acrylic paint on the wings. The tape blends in nicely after being painted with a foam brush. 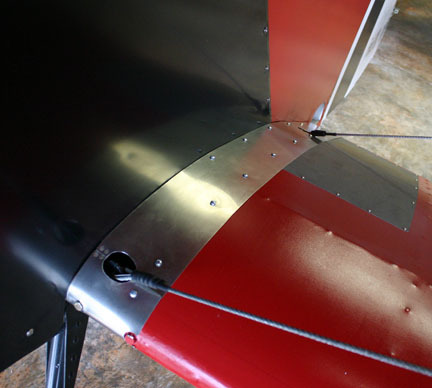 Trim plates finish the large cabane access holes in the upper wing center section. 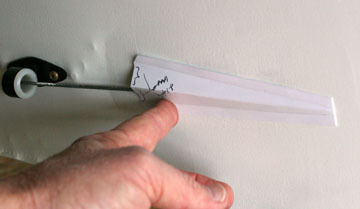 Paper patterns are used to fabricate exit fairings for the rudder cables and elevator pushrod. 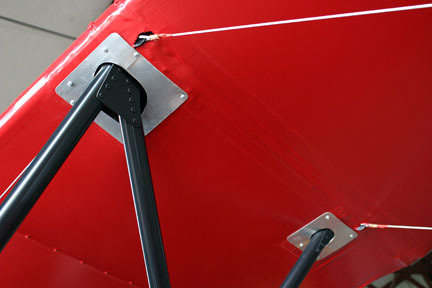 Installed exit fairings for rudder cables and elevator pushrod. Exactly four months after being ordered, the Culver prop arrived, and it looks impressive. It is birch and maple but I requested it be stained for a vintage look. Here it is with temporary bolts holding it in place. I sure hope I ordered a diameter/pitch combination that will work nicely with the Fokker. 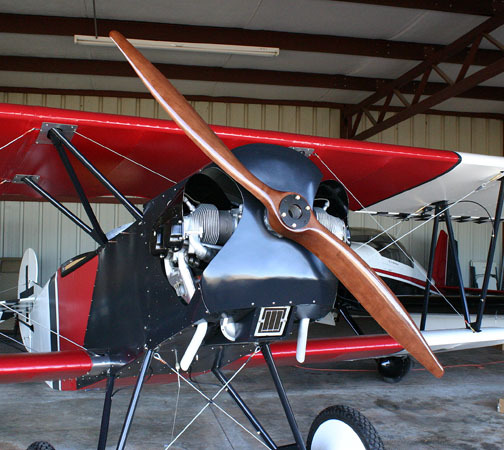 Because this is the first O-200 in a D.VII, prop selection was an educated guess based on studying application tables for certificated aircraft with similar configurations. Big Day. The Fokker was put on the scales to see if total weight was close to anticipated and where the CG would fall. Weight with six quarts of oil is 615 lbs and the CG is very close to where I want it. Huge hurdle jumped and I am pleased with the numbers. 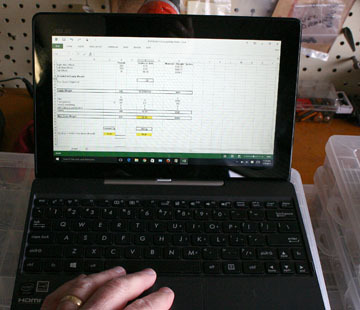 All moments were verified and the three scale numbers plugged into a spreadsheet furnished by Airdrome Aeroplanes so variables can be tweaked to land the CG exactly where desired. Little adjustment will be necessary. It's alive....the O-200 awoke from its slumber today. 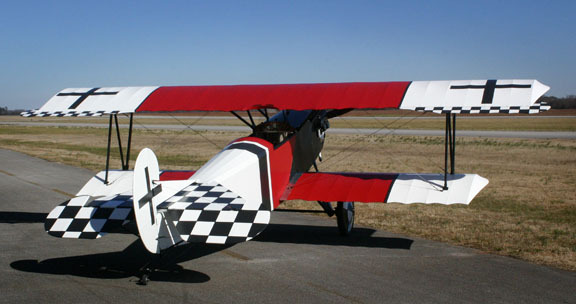 N1918Q is now an airplane! 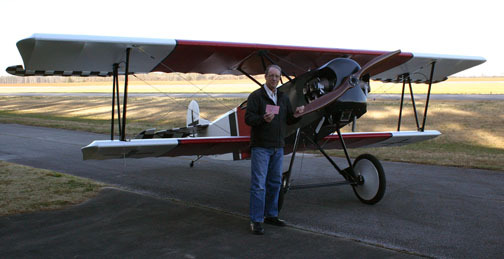 The Fokker sailed through inspection with no hiccups and after the requisite paperwork and enjoyable visit by the DAR the pink slip (airworthiness certificate) was issued. Total time between opening the kit crate and today was two weeks less than one year.